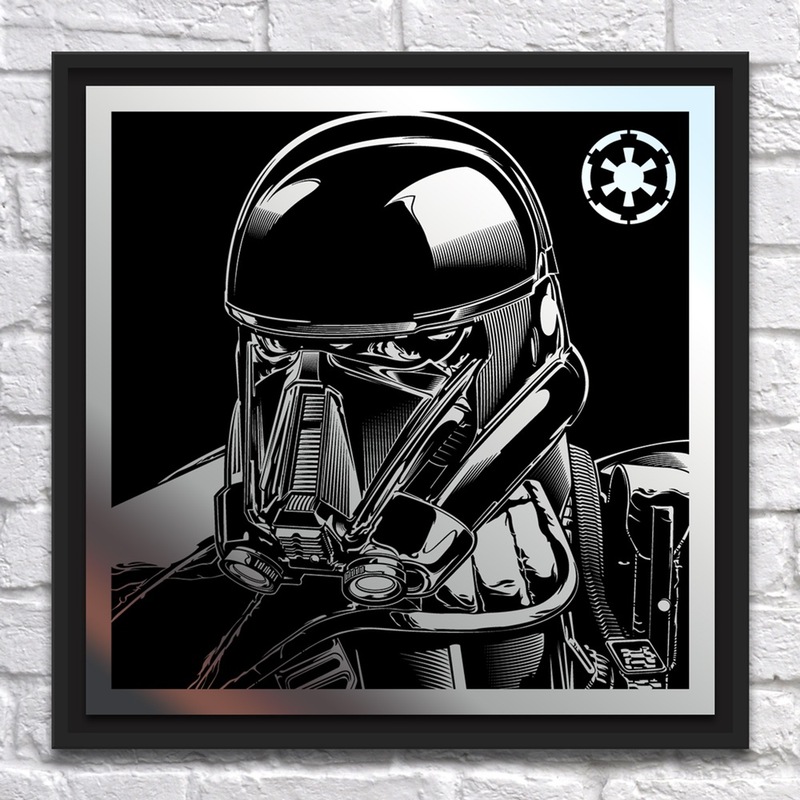 Check out Joshua Budich’s newest laser engraved Star Wars metal print, Rogue One’s Death Trooper!!! Based on the upcoming Star Wars film, the Death Trooper laser engraved print comes on striking satin black coated aluminum. This fantastic looking 12”x12” Rogue One: A Star Wars Story metal print is limited to just 30 pieces and comes signed and numbered by the artist. Death Trooper is available now at Budich’s online store for $85.